Velázquez's Las Meninas is perhaps the painting most open to interpretation in the entire history of art. Entire lakes of ink have been spilt trying to uncover the mysteries of the painting and veritable oceans more will be spilled in the future as new generations of art historians add their own opinions to the mix. The following are the most prominent and most plausible interpretations, put forth by the most erudite of art historians. One of the earliest and most widely accepted interpretations of Las Meninas is that the painting is Velázquez's personal manifestation of the inherent nobility of painting. The painting was executed during the years of Velázquez's attempts to gain admission into the elitist Order of Santiago, who turned the artist down twice (despite the support of the King and the pope) because of his artist status. In 17th century Spain, artists were grouped in the same social level as blacksmiths or tailors, because they were paid for labor they did with their hands. Velázquez fought for most of his career to elevate the status of the arts in Spain to the same level of respect and admiration as in Italy. Numerous clues in the painting support this interpretation. First of all, the painting reveals the intimate relationship of Velázquez to the royal family. He is shown in the private quarters of the deceased crown prince, in the company of the King, Queen, and the last remaining heir, and only the very closest members of the court: he is, in essence, a part of the family. What's more, the keys to the King's chambers hang from his belt, the ultimate sign of the King's trust and appreciation of the royal artist. Even in the presence of the royal couple, Velázquez maintains a proud and regal bearing, as if among his equals. Recently, a new interpretation has been put forth, suggesting that the painting might have been commissioned in light of some very particular circumstances. At the time that Las Meninas was painted, the crown prince Baldasare Castiglione had passed away in a riding accident and the Infanta Margarita was the King's only surviving child. There has been speculation that before the birth of Carlos II, the monarchy was considering grooming the Infanta to eventually rule the country, like Queen Christina of Sweden. Las Meninas could thus be seen as an initial attempt to portray the Infanta as a powerful, divinely elected potential ruler, a difficult image to put over in the highly patriarchal Spanish society. Evidence to support this interpretation is found both in contemporary documents, and in certain elements in the painting: the emphatic emphasis on the Infanta, for example. In a more general sense, many art historians have proposed (undoubtedly with reason) that Las Meninas is essentially about the relationship between reality and illusion, life and art, a consuming preoccupation during the Spanish Baroque. Las Meninas explores this theme in many ways. First of all, the ambiguous relationship of the viewer to the painting calls the border between art and life into question. The viewer is unsure if he finds himself standing next to the King and Queen, or if he is viewing the scene through their eyes. Regardless, from his acknowledged vantage point, the viewer is brought into the world of the painting, a world inhabited by illusionary, though historically real, painted figures. 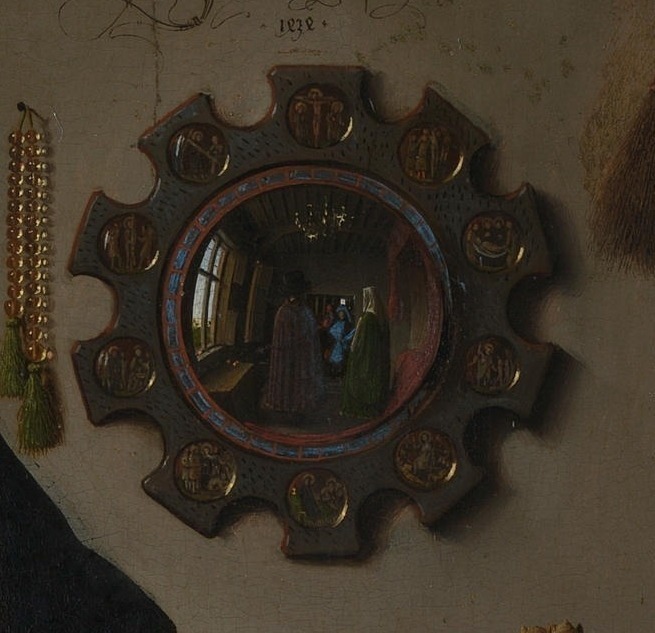 This contrast between reality and illusion is reinforced by the presence of paintings within the painting, and the mirrored reflection of the royal couple. The paintings on the back wall have all been precisely identified with the aid of inventories from the period, and constitute the painterly equivalent of the story-within-the story so common in literature of the period, which is also another variation on the play with framing in the picture discussed above. The next point to consider is the all important one of the mirror. The mirror has been a symbol of paramount importance throughout the history of art, for its ability to reflect reality, just like a painting. 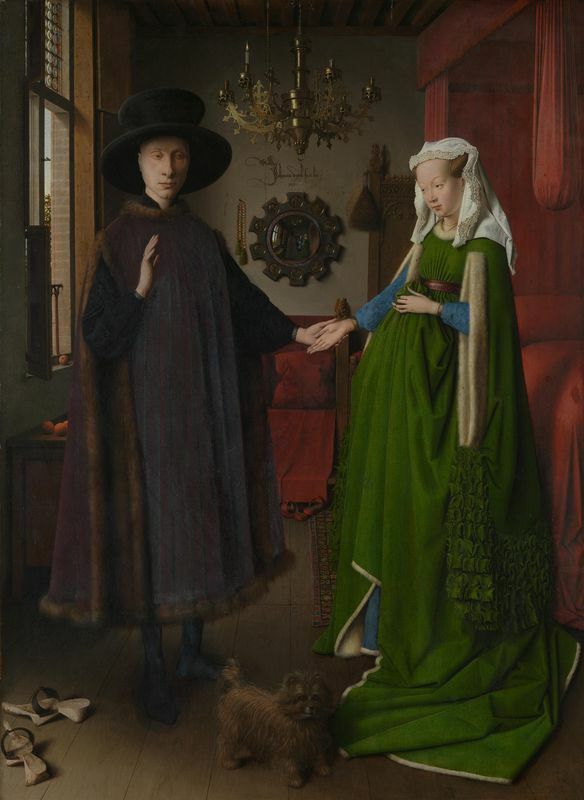 Mirrors often appear in art for this very reason, most famously in van Eyck's Renaissance painting, The Arnolfini Portrait. Velázquez takes this concept and goes further than any other artist, putting his own unique spin on the device of the mirror. The mirror, one of the brightest areas of the painting, gives a vague, but recognizable reflection of King Philip IV and his current wife (and niece), Mariana of Austria. The mirror seems to reflect the space from which the viewer perceives the painting-does this mean that we stand next to the King and Queen? Or that we are seeing the painting through royal eyes, effectively transforming into the monarch ourselves? Or, as the famous art historian Janson has suggested, does the mirror actually reflect the canvas that Velázquez is painting? In any case, what the mirror certainly does do is distort the viewer's understanding of truth and fiction, reality and art. In art history, the mirror has traditionally been an emblem of the painter, because it reflects reality, as painting should strive to do. Here, Velázquez challenges the primacy of the mirror: which is more true, the reflected reality, or Velázquez's painting? For the matter, is Velázquez's painting more real than reality itself? When considered in this light, Velázquez's painting is a surprisingly modern reflection on the act of painting and the nature of art itself. 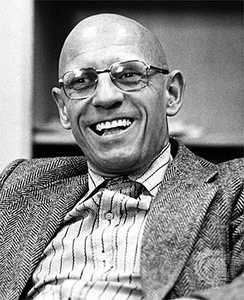 Since French philosopher Foucault's landmark essay on Las Meninas, many art historians and critics have commented on the role of the viewer in relation to the painting. According to influential art historian Leo Steinberg, the painting might as well not even exist. As Steinberg points out, not much is actually happening in the painting, and the attention of almost all the protagonists (except for three) is turned outwards, towards the viewer. In fact, we seem to have created the very composition that we see before us: just a moment before, there was perfect stillness, but the presence of the viewer has interrupted the scene, and all the figures have shifted to accommodate us. This is surely one of the first examples of so modern an interaction between a viewer and a work of art, a fact which led Foucault to cite Las Meninas as a landmark in the evolution of thought.